Randy Brody — a multi-talented Westporter known best for his drumming circles, particularly for older people, and those with chronic diseases and special needs — died suddenly yesterday. Last September, I posted this story on him. Work brought Randy Brody to Westport from Brooklyn 40 years ago. The job did not work out, but he stayed. He did animation and special effects for films. He also wrote, and traveled the world. In his free time, he played drums. More than 25 years ago, he began leading drumming circles in South Norwalk. His circles grew to 25 people. No matter what kind of day he or anyone else had, at the end of a drum circle everyone felt good. When Randy realized that technical writing was not for him, he turned his attention more seriously to drumming. 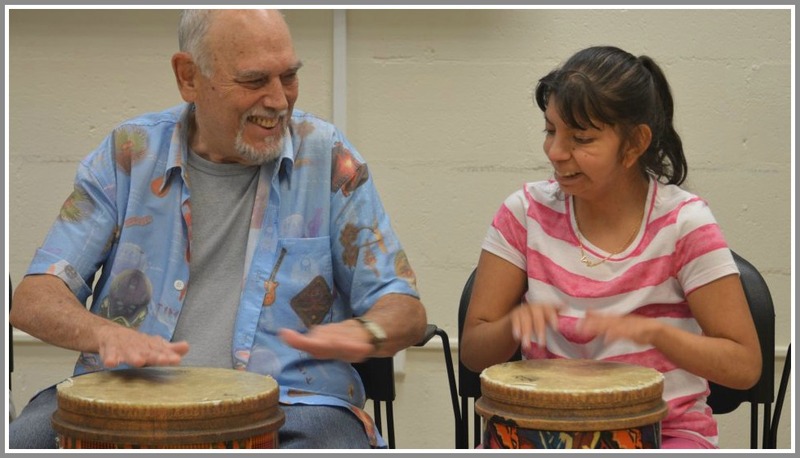 He took classes in music therapy, studied improvisation and music teaching, and improved as a hand drummer. In 2001 — around the time he turned 50 — Randy left the corporate world. 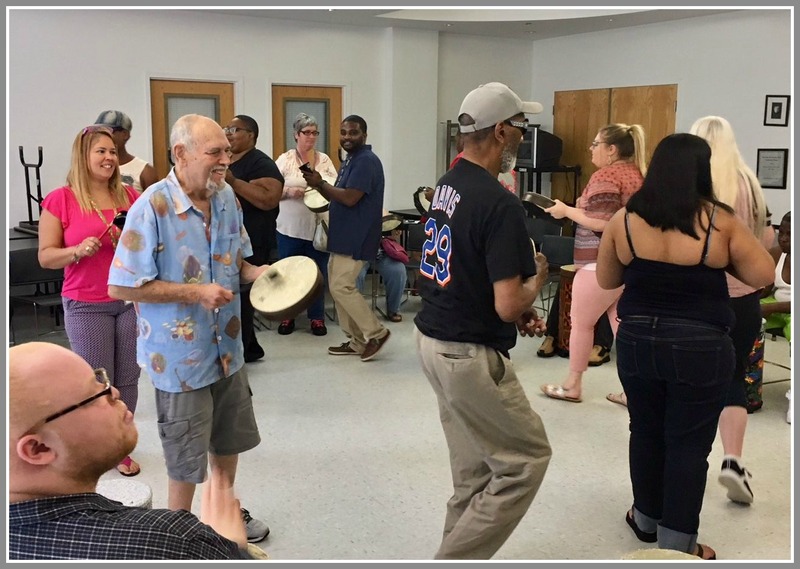 His first drum circle gig was at The Marvin, a senior residence in Norwalk. He set up in the living room. Within a few minutes, everyone was having a great time. “Even people having trouble walking were drumming and dancing,” Randy recalls. The director asked when Randy was coming back — and what he charged. He had never thought about either question. Randy walked into senior centers like Westport’s, and assisted living facilities like the Greens at Cannondale. He had no appointments, but was welcomed in. No one else was doing anything like it. Within a year or two, he was known as The Drum Guy. He was in demand from New Jersey to Massachusetts. Next, Randy organized drum circles for young adults with special needs. Group drumming creates high energy and builds community, Randy says. It reduces cortisol (stress hormone) levels. He’s heard a nurse say of an Alzheimer’s patient, “He can’t do anything.” Five minutes later, the same person is drumming — and smiling. Randy also does one-on-one sessions with autistic children. Sometimes the entire family joins in. … and a younger drummer. These days, his main work is with Abilis. 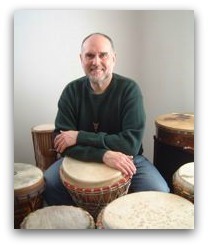 Several times a months, he leads drum circles for the Greenwich-based special needs non-profit. Some autistic youngsters can’t speak, or express themselves. But, Randy says, they relate to drums. And when they see him coming, they smile. Every drum circle is different. But each time, Randy leaves with a full heart. In the last few years, Randy has had his own medical issues. But he brings his drums to the hospital. Even after surgery, he plays. It helps with pain management. The doctors think it’s helpful for recovery.